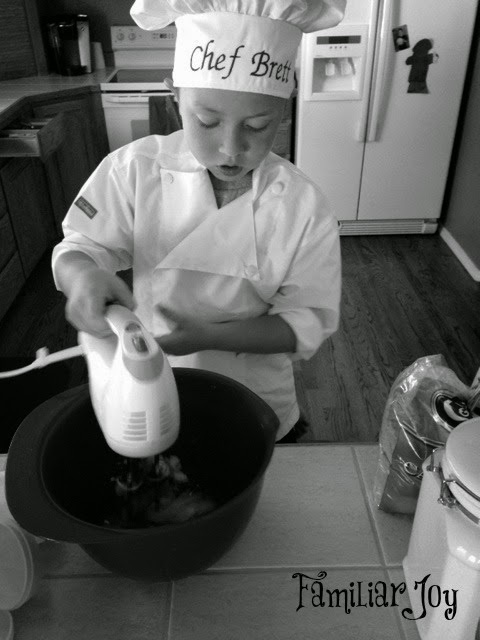 As I mentioned before, our 6 year old has dreams to become a chef. This summer, he spent a few days at a cooking camp and loved it. 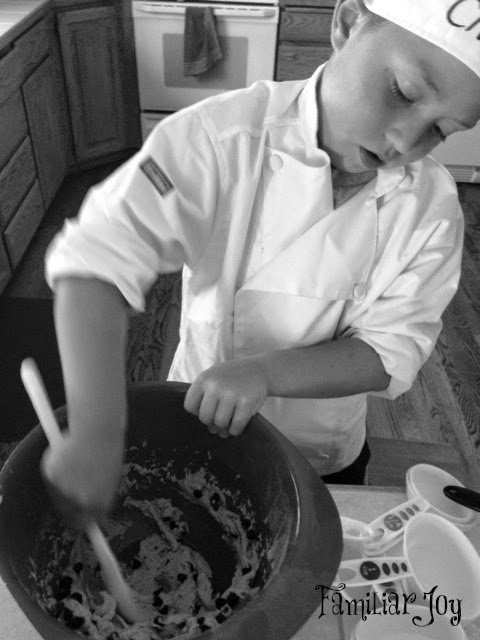 I think the idea was sparked last summer when we watched "MasterChef Junior" and now, he truly believes that being a chef is his future career. I couldn't be more thrilled! Personally, I'm looking forward to leaving the cooking to him every night. 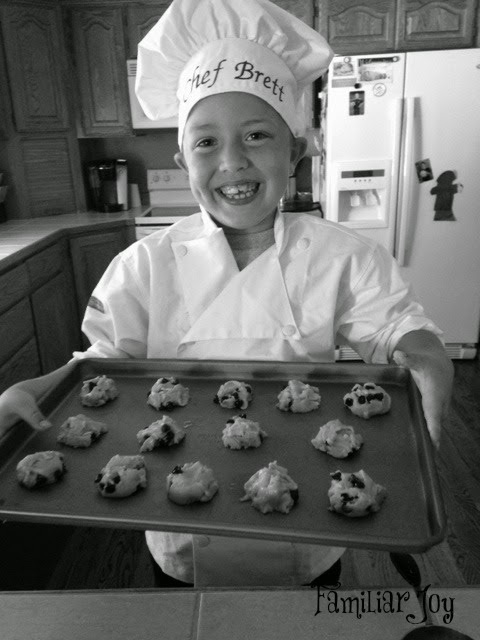 This week, Brett decided to make some kid-friendly chocolate chip cookies. 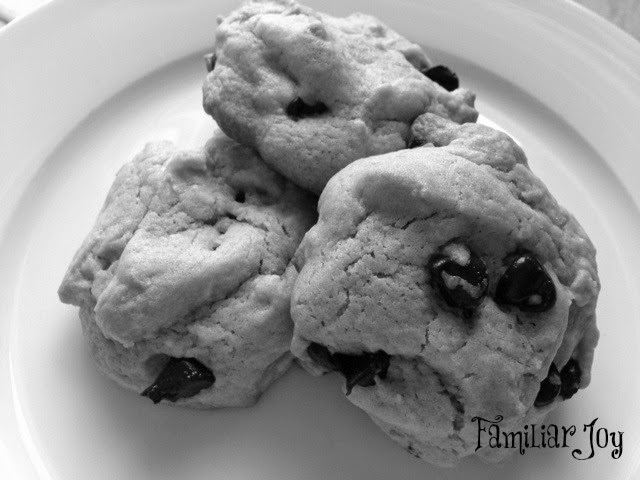 Alright, well, all chocolate chip cookies are kid friendly, but this recipe was fairly easy to follow and tastes delicious! We made a few substitutions when I realized we were out of shortening and only had regular chocolate chips, rather than the mini ones that the recipe called for. Didn't seem to make a difference. They were YUM! Add brown sugar, granulated sugar, baking soda and salt. Beat on medium speed until combined. Add egg and vanilla. Beat on medium speed until combined. Add flour. Beat on low to medium speed until combined. 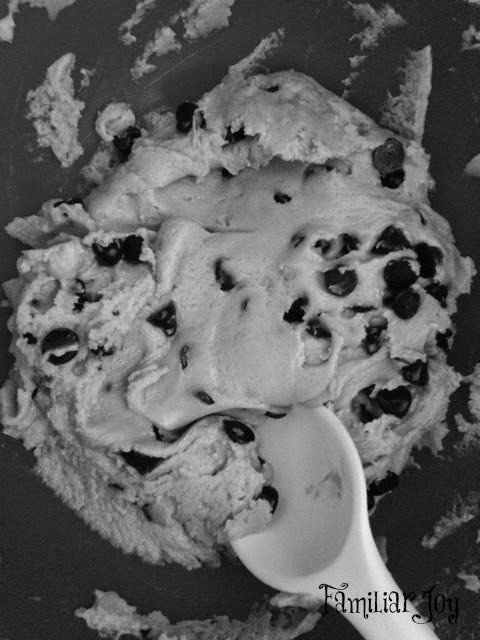 Scoop a spoonful of dough onto an ungreased cookie sheet, leaving about 1 inch between dough mounds. Bake 9 minutes or until edges of cookies begin to brown. Stay tuned for a weekly recipe with Chef Brett. 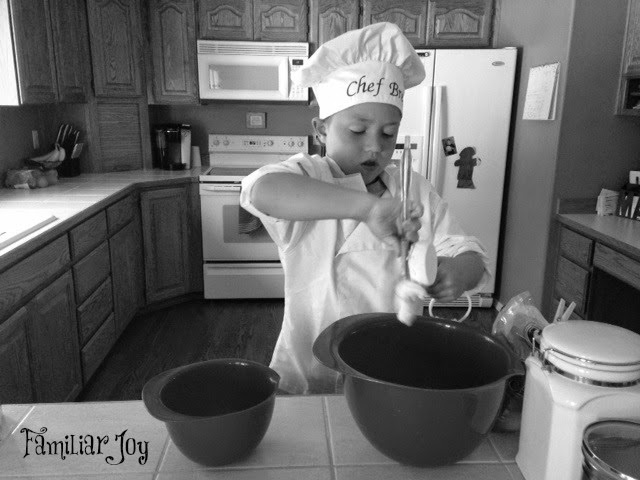 As he learns to cook, we'll follow along his journey. Hopefully, kid-friendly (and healthy!) recipes will be the focus. Eventually, I may even put some video on here. 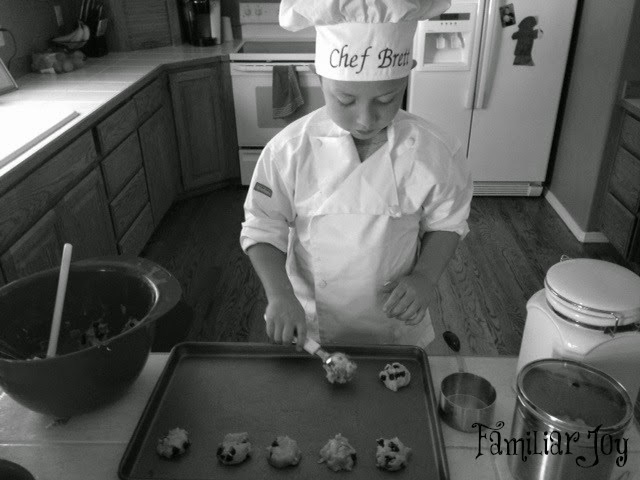 Future MasterChef junior, perhaps? !